LanguageCorps Now Offers Online TEFL Certification! Perfect for working professionals or students that can’t commit to an onsite course, LanguageCorps new Online TEFL Certification Program is a unique and flexible way to start your adventure in Teaching English Abroad. Earn all the credentials you will need to teach English as a foreign language, from the comfort of your own home and at your pace. The LanguageCorps online TEFL course includes 150 hours of course work that is completed over a schedule of four to sixteen weeks. Throughout the Program you complete reading and writing assignments, take quizzes and exams on course content, and receive one-on-one tutoring from your TEFL Trainer by Skype. The online TEFL course is carefully designed to be the best online TEFL course available. 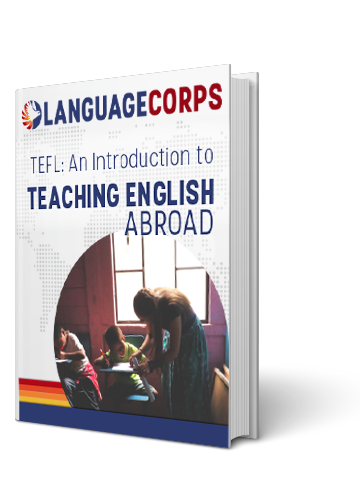 The content perfectly mirrors our regular onsite TEFL programs and unlike any other online TEFL, the LanguageCorps online TEFL includes a teaching practicum where you teach 6 hours of online classes to a real English learner! We make sure you’re truly prepared and set-up for success.